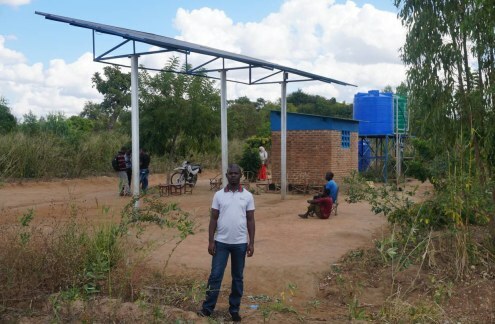 Faced with growing losses, farmers in Zomba district have come up with an innovative way to adapt: Solar-powered pumps used to pull up underground water, and newly constructed water storage dams that are also used to farm fish, writes Charles Mkoka for Thomson Reuters Foundation. A man stands near a raised solar panel and reservoir tanks used for irrigation at Chiswamafupa irrigation scheme, in the traditional authority of Mambo in Zomba district, eastern Malawi, July 11, 2018. 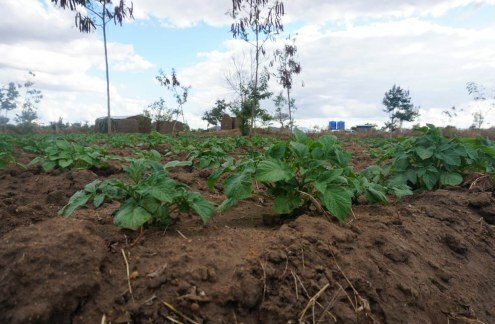 A view of potato plants grown with groundwater pumped into blue reservoir tanks using solar energy, at Ngwerelo, in eastern Malawi's Zomba district, July 11, 2018. 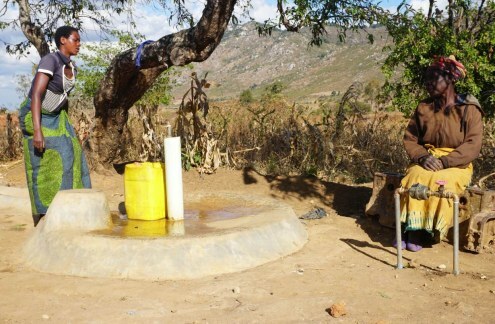 A woman collects water from a hydrant fed by an integrated household and irrigation water project in the village of Gunde in Ntcheu, central Malawi, July 12, 2018.